Tuesday&apos;s episode of The Young and the Restless was the culmination of months–sometimes it&apos;s felt like years–of waiting. Chelsea (Melissa Claire Egan) finally knows the truth about Adam&apos;s identity! The emotional reunion took place at Newman Enterprises as Victor&apos;s (Eric Braeden) portrait watched. Melissa Claire Egan did an outstanding job conveying Chelsea&apos;s turmoil. From disbelief to the tearful acceptance Egan conveyed Chelsea&apos;s every emotion. She was furious when Adam revealed Jack (Peter Bergman) already knew the truth. When Adam insisted on maintaining his cover and lying to their child she balked. I loved Egan paired with Jacob Young on All My Children as Annie and JR. When Michael Muhney portrayed Adam Newman I always preferred Adam with Sharon (Sharon Case). Adam and Annie have now supplanted the Pine Valley pairing as my favorite Egan couple. They are now my favorite Genoa City couple. No other couple even comes close. It wasn&apos;t just Egan who brought her "A game." Justin Hartley did too. Since Hartley&apos;s arrival I&apos;ve enjoyed his portrayal of the black sheep Newman heir masquerading as Gabriel Bingham. However, not every piece of the story puzzle "fit." 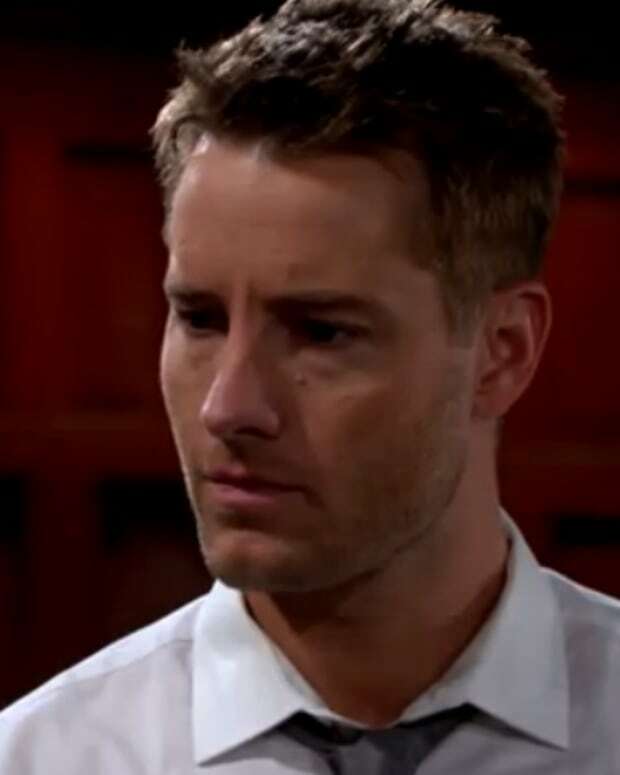 Yesterday when Adam exposed his soul to Chelsea and stripped bare the artifice of his identity it was, for me, the culmination of the transition from Muhney&apos;s Adam Newman to Hartley&apos;s Adam Newman. My Daytime Confidential co-host Sara Bibel put it even more succinctly on Twitter. Where ever Adam and Chelsea&apos;s story goes next, I&apos;m on board for the ride.